Clock repair specialist Houston, Spring, Tomball, The Woodlands, Texas, Howard Miller clocks, Ridgeway, Timeworks, Comitti, Kieninger, Schneider. Sales and Service for New and Antique Clocks Across the United States. Few possessions endure like a fine clock. 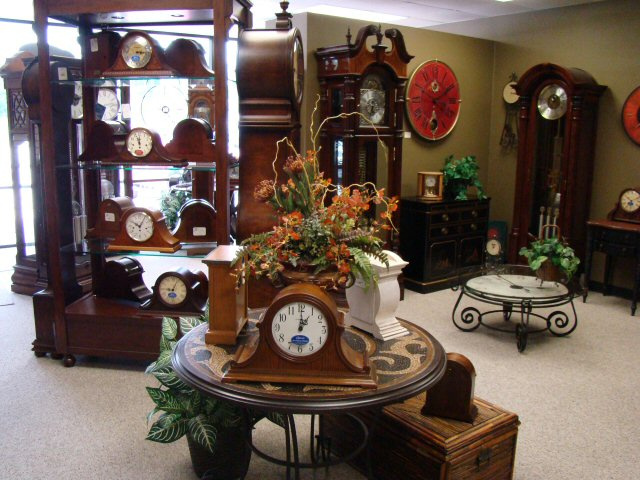 The Clock Shop of The Woodlands, TX is a fully equipped modern clock shop north of Houston Texas. We offer our customers a unique combination of traditional and state of the art clock repair for heirloom and modern clocks. We handle sales and service on most brand name clocks. The Clock Shop can expertly and professionally repair and restore your clock to its original running condition. We also offer a complete in-home repair service. If you can’t come to us, we will come to you. There is no additional charge for in-home repairs. The Clock Shop is north of Houston, TX and is a Houston Clock repair specialist. 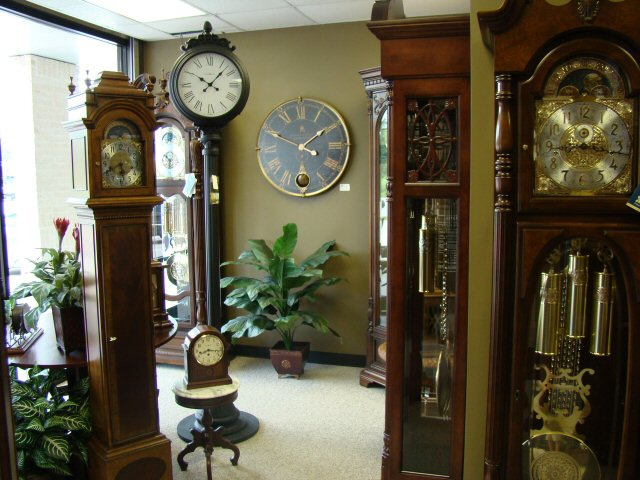 The Clock Shop provides on-site service for Houston grandfather clock repair. The Clock Shop can assist clock owners across the USA with clock repair and service. The Clock Shop can also assist you with the purchase of a clock and deliver to any location in the United States of America. The Clock Shop is an authorized dealer of Howard Miller clocks, Timeworks, Ridgeway, Bulova, Comitti of London, Kieninger, Schneider, and Rhythm clocks.